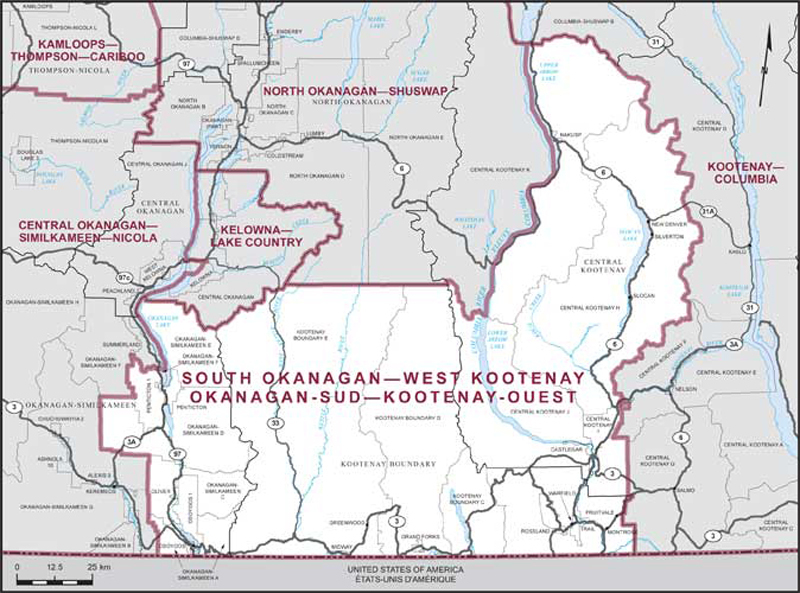 The riding of South Okanagan-West Kootenay in a new riding that includes the cities Castlegar, Grand Forks, Oliver, Osoyoos, Penticton, and Trail. 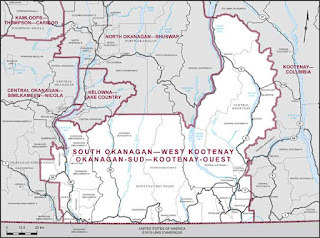 That is, it is made up of parts of the old British Columbia Southern Interior, which NDP Alex Atamanenko had represented, and Okanagan-Coquihalla, which had voted Conservative. If one redistributes the 2011 votes in the new ridings (as is done here), the results would be Con. 45%, NDP 39%, Lib. 7%, Green 8%. This suggests that avoiding vote splitting is key here, given that Atamanenko has retired. 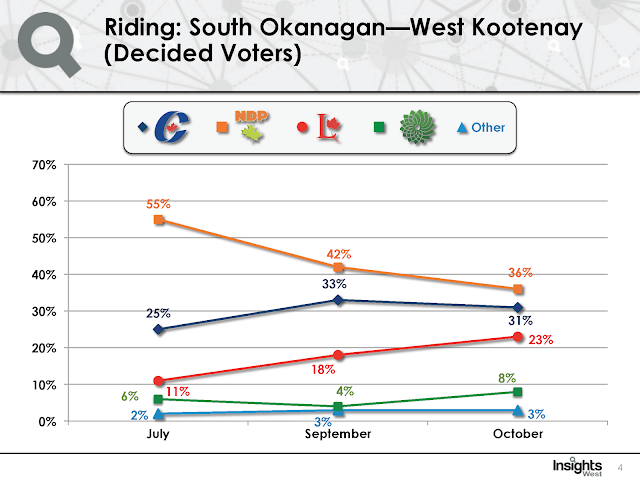 A local poll conducted by Insights West (September 13) suggests that the NDP are well positioned to prevail. It found support to be Con (33), NDP (42), Lib. (18), Green (4). 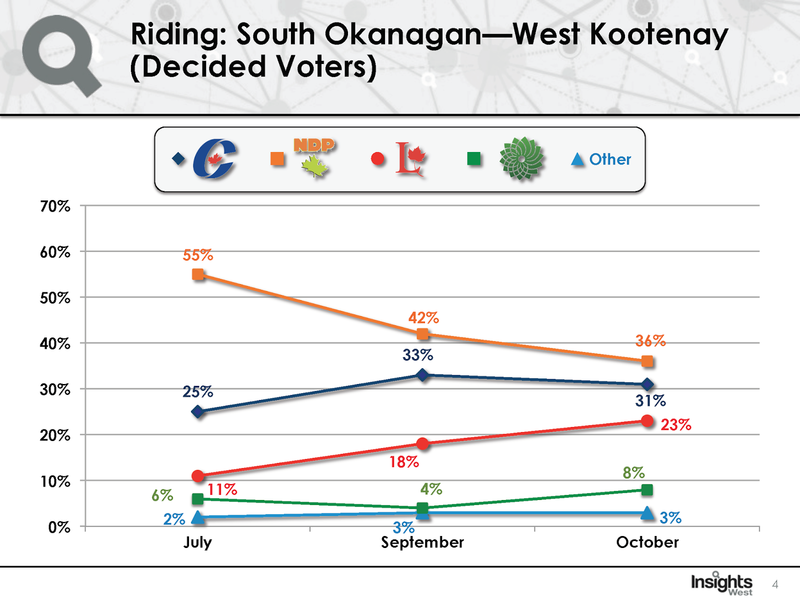 In order to prevent a Conservative steal through vote-splitting, strategic voters in South Okanagan-West Kootenay should support the NDP.